Maurice Brill Lighting Design is one of the leading lighting design consultancies. Its aim is to maximise the impact of the space around us, whether in hotels, shopping centres, museums or outdoor environments. The MBLD team strive to achieve their aesthetic objectives and fulfil the design requirements of the brief with a high degree of technical competence and imagination. 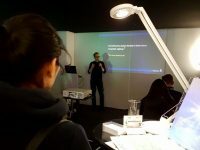 With this background, the team has always been aware of the psychological effects of lighting in its approach to design. Light is used to enhance space: to define its authority and to evoke the right mood for people in and around the building. With over twenty years of experience in lighting design, both in the worlds of commerce and entertainment, MBLD can dramatically transform the experience of space in response to the business needs of its clients. The company operates internationally with completed projects throughout Europe, Middle East, Africa, Caribbean, Asia and USA. 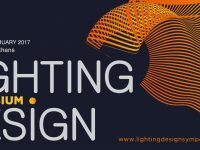 MBLD is an independent lighting design consultancy holding no commercial relationships with any manufacturer, supplier or other party.